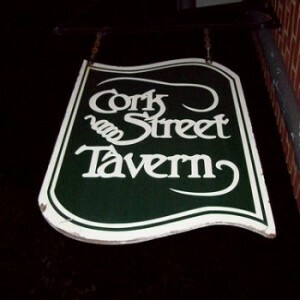 Cork Street Tavern was established in 1985. With over 25 years of passion and experience, the staff continues to uphold the custom of excellence the tavern has held for so many years. We invite you to share in our pride of decades of history, and the thousands of guests who have passed through our doors. We specialize in reasonably priced American pub style cuisine that is sure to please both your palate and your pocket! Hours of Operation: Mon-Sat. 11:00 a.m. – 1:00 a.m.: Sun. 12:00 p.m. – 10:00 p.m.